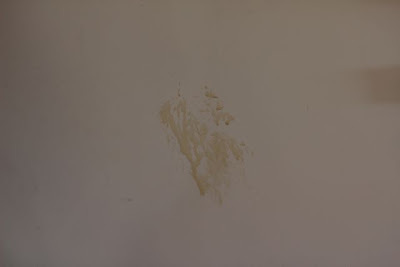 Women on a Mission: Mom Edition: THE STAIN STAIN! Ok, so when we purchased our house (roughly three years ago), we hired someone to re-do the hardwood floors on the main floor. Since then Steve re-did the floors in our upper level and they look just as good (if not better). Regardless, we love our floors. 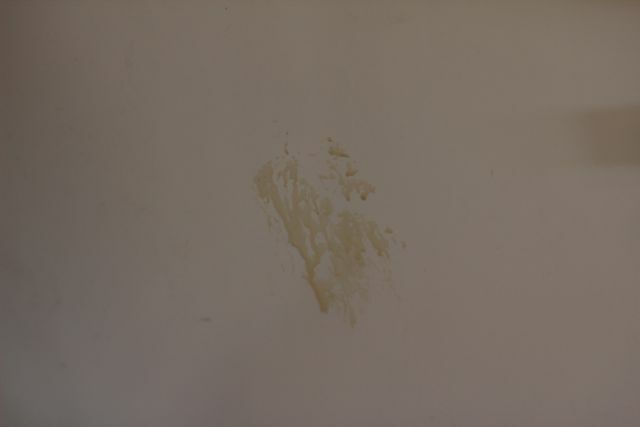 However, we DO NOT like the fridge stain that the hardwood “professional” left on the front of our fridge. Yes, it looks like he rubbed up to it or smeared his hand across it. And now there is a lovely varnish stain that will NOT COME OFF. Luckily I can use Mur-Man's toys to cover it up! 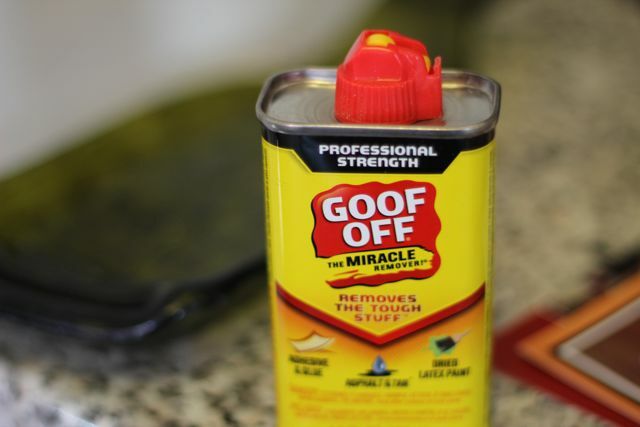 I tried Goof Off remover and that did nothing to the stain. So, I am asking all of you WOMS for help. Do you have any advice? I want this stain gone NOW! 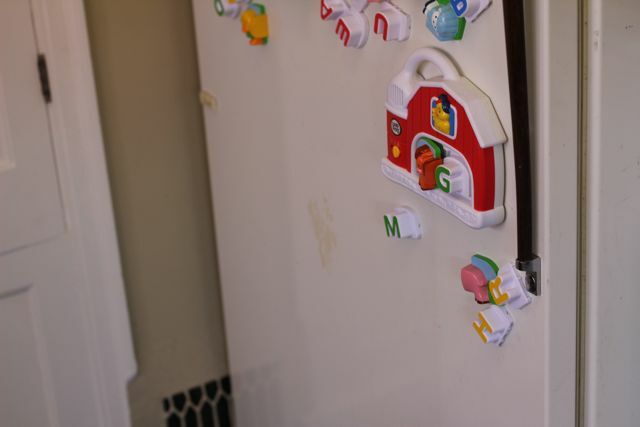 And yes, the fridge is very old and we have discussed replacing it, but we will not replace it until it dies! We (or I) really want it to die NOW! Then the stain would no longer be a problem. Have you tried Mr. Clean magic eraser? If that doesn't work you can maybe try to disguise the stain. I'm considering this option on my own apartment fridge which has tiny rust colored spots all over the front. I'm going to buy appliance paint in a spray can (in that lovely almond cream color that old appliances have), spray a goodly amount into a bowl of some sort and then use a sponge brush and sponge over the spots. If your stain is tactile (i.e., sticky) I don't know if this will work versus if it was merely just discoloration. I'm waiting on this until there are several days in a row when it's going to be nice out where I can open the windows since I'm pretty sure they don't make a non-VOC spray can appliance paint. Try rubbing alcohol or hairspray. That probably is a permanent stain though.